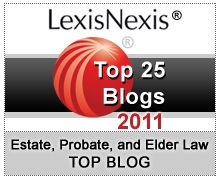 North Carolina Estate Planning Blog - Repeal of the North Carolina Estate Tax? The repeal is the start of a larger tax plan that North Carolina legislators are planning to complete by the end of 2013. The rationale behind eliminating the estate tax is to try to keep wealthy families from moving to lower-tax states. With the federal estate tax exemption up to $5.25M and North Carolina estate tax repeal on the horizon, heirs will have the lowest tax liabilities in years. However, there are many reasons to engage in estate planning. Even though the North Carolina death tax will be gone, regular updates to your estate plan should not expire with it.